We are getting our vehicle tonight, so being homebound, I had a lot of downtime today to upload the Christmas program videos! First thing in the morning was Deacon’s preschool program. 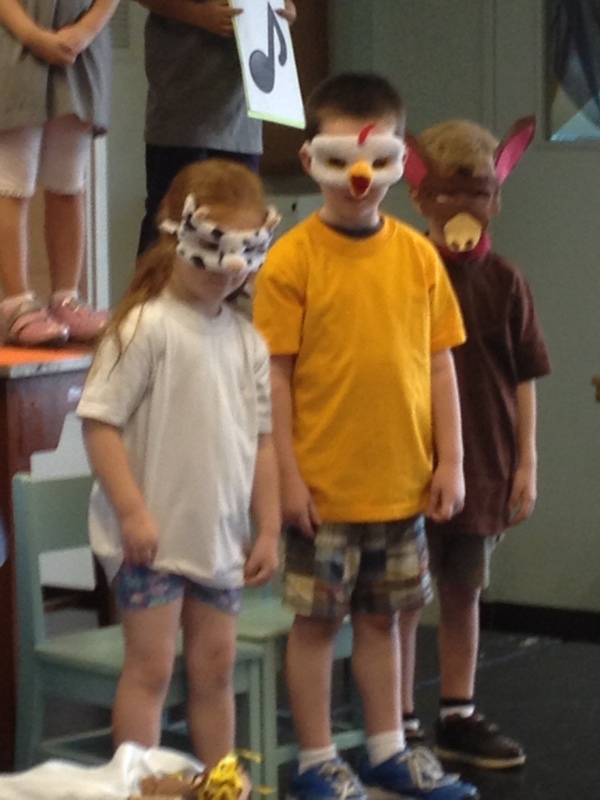 People, it doesn’t get much cuter than preschoolers being animals! After the program, we had merienda with the kids. 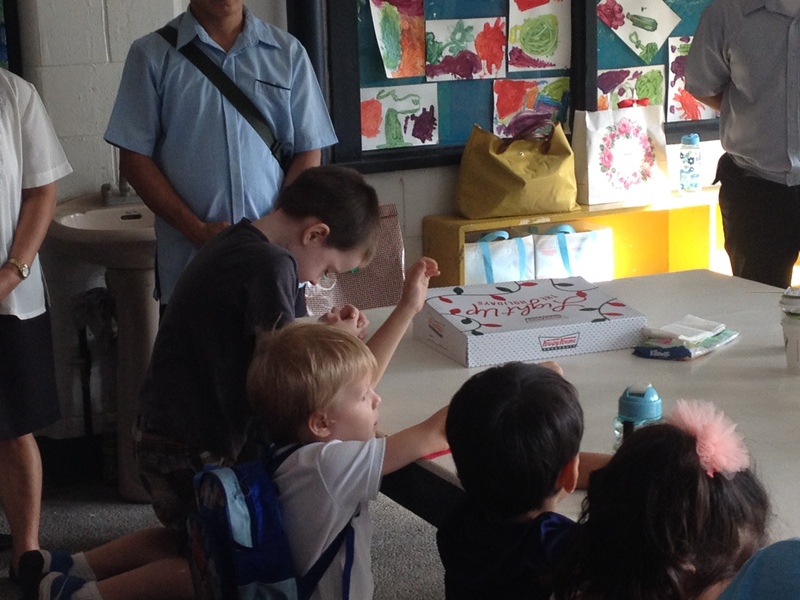 Krispy Kreme’s and coffee made for happy little kids and parents! Shhhh…I had my eyes open during the prayer. 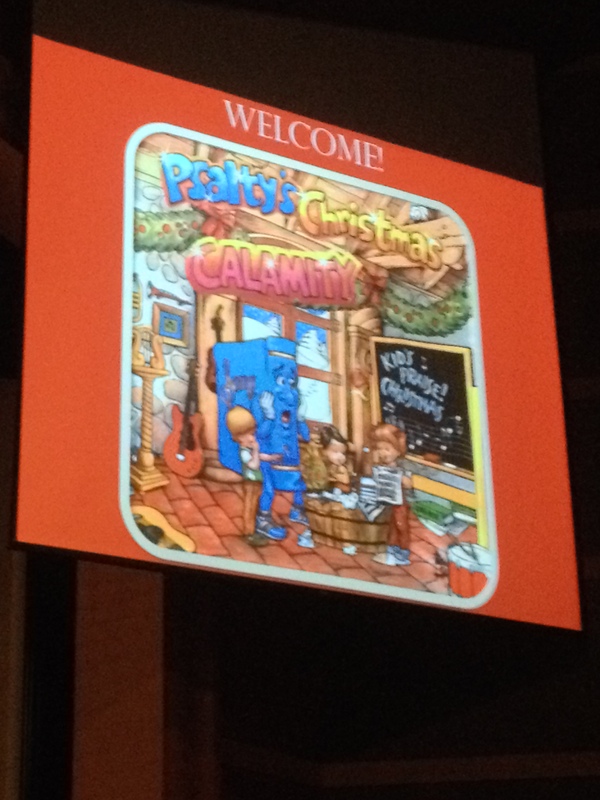 After Deacon’s party, we headed to the theater for the elementary program. Psalty’s Christmas Calamity. We had that cassette tape when I was a kid and listened to it every year! I’m sure we had sides A and B memorized perfectly! And it all came back to me 25+ years later! 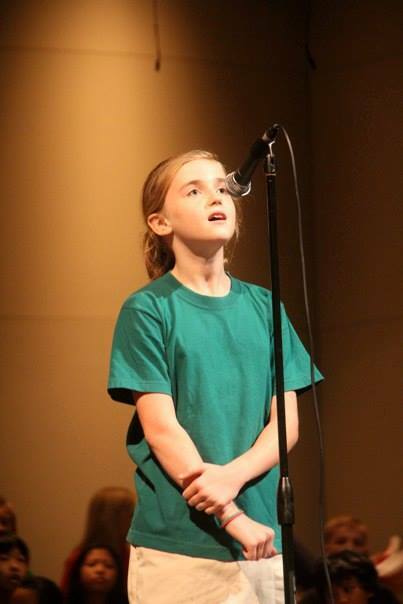 Mackenzie had auditioned for a solo a few weeks back, so she was thrilled to land the “Away in a Manger” solo! 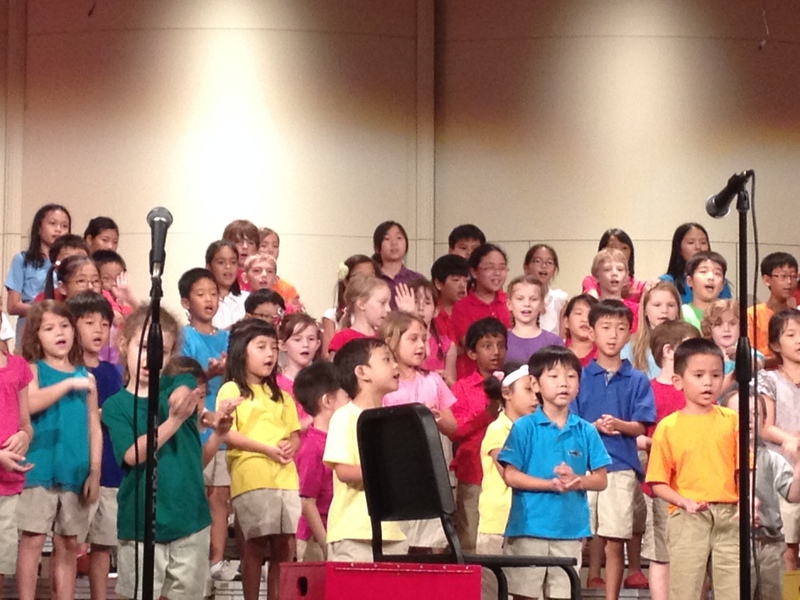 It was part of a medley that was the first song in the program. It was a good thing that Josh was the videographer because I was so nervous, my footage would’ve looked like the middle of an earthquake. Girlfriend nailed it! I’m so impressed and amazed when my little kids do things that I can’t do, won’t do, or don’t do well. It’s just fantastic to see those unique features that God gave our children to make them into exactly what He planned. Just in case you didn’t see Miss Bellers, here is a still that shows her adorable little pig-tailed head. She is just over the left shoulder of the girl in the yellow shirt. So, I had to do it. On the way to the airport, I asked the kids….”So, which do you prefer – Psalty or Patch the Pirate?” Josh was raised on the latter, I was raised on the former, so the competition has always been there. However, it is a competition no longer, as Psalty was the unanimous winner! Caleb even threw in a vote, although he always just shouts out what everyone else is saying.